The state-of-the-art bottle washer and filler washes each bottle using an FDA approved detergent and their patented "Lift and Spin" technology to ensure each bottle is clean and sanitized. 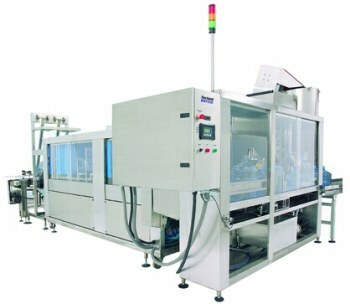 Each bottle is mechanically filled in a sealed clean room with HEPA filtered positive air pressure and capped before exiting the machine for final inspection. Each water bottle is inspected at least 3 times as part of our comprehensive quality control system to ensure you receive only the finest and highest quality bottled water.